Home Travel How to spend some days in Jagdalpur? How to spend some days in Jagdalpur? The handsome city of Jagdalpur, in Chattisgarh, has become “Capital of Chattisgarh tourism”. 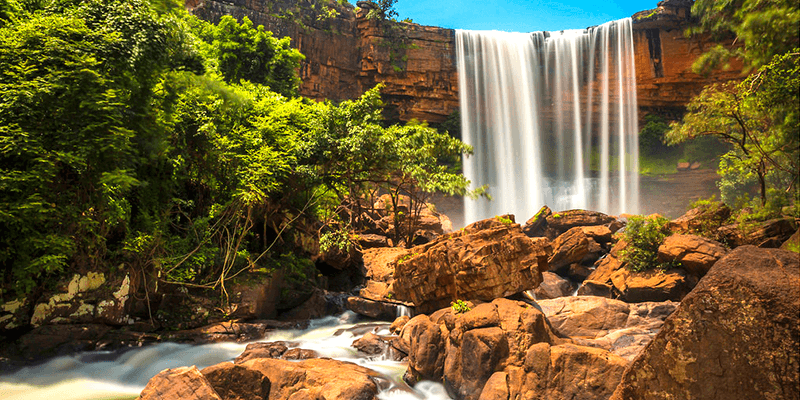 This city, in the Bastar district, has many natural wonders that intrigue the tourists. The outskirts of the city are filled with lush green forests which are inhabited by tribes that charm the explorers of with their unique way of life. What’s more, this Chattisgarh destination is a must visit during the monsoons. When it rains, the grand waterfalls and forests of this city are a sight to behold. So, let us take a trip through some of the must visit Jagdalpur tourist places. 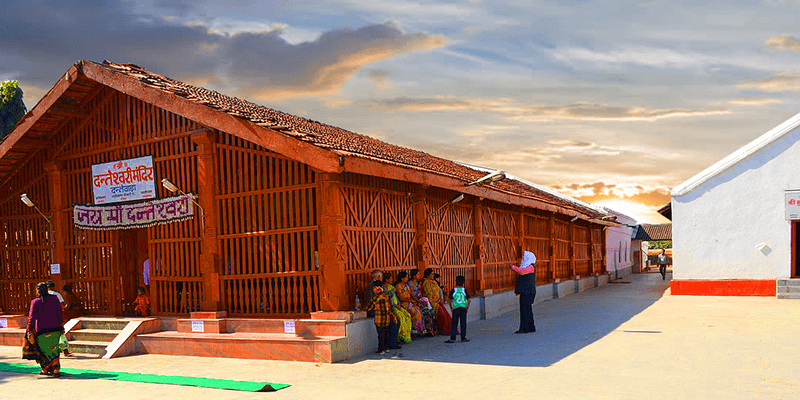 Jagdalpur tourist places you must visit! Chitrakoot Falls (or Chitrakote Falls) has to be the most prominent tourist place in Chattisgarh. Also known as “Niagara Falls of India”, this waterfall is 29 feet tall! 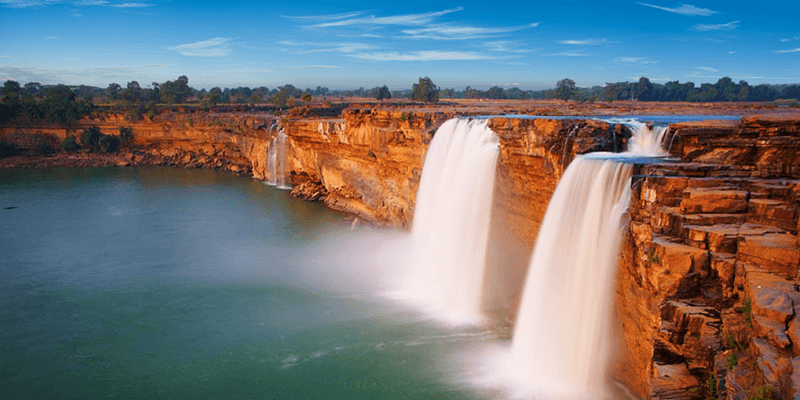 Chitrakoot waterfalls is the largest and widest waterfall in India! 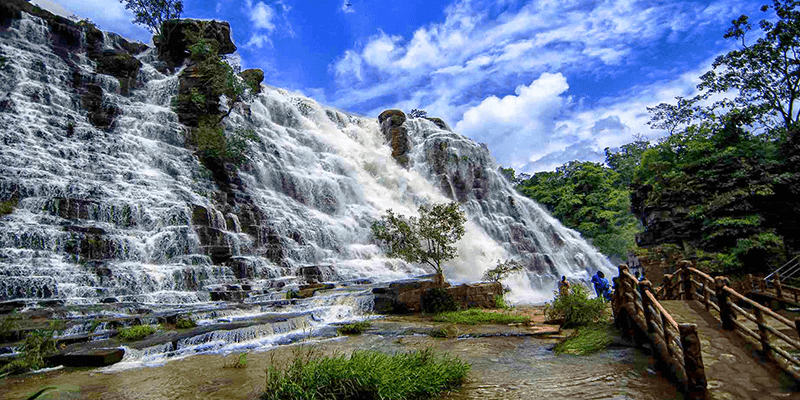 This waterfall is located within the Kanger Valley National (about 38 KM away from Jagdalpur), providing it with a lush green backdrop. Monsoons are the best seasons to visit the Chitrakoot falls. During this season the Indravati River is full and the waterfall looks at its intimidating best. On a rain drenched day, one can see the rainbow appearing behind the thudding waterfall. On the banks of the falls, there is an ancient Shiva temple which is also worth a visit. Tips: Do start your journey back from Chitrakoot with some hours of day light still left. The roads from Chitrakoot falls to Jagdalpur are not safe after dark. Trivia: You should definitely carry a raincoat when visiting these falls, the waters can drench you from a distance too. Located near a village named as “Kotumsar”, Kotumsar Caves are one of the must visit tourist places in Chattisgarh. Situated close to the Kanger Valley National, this natural wonder will capture your imagination for sure. When you enter this cave complex you are actually moving 35 meters below the ground level! But once you are inside the Kutumsar Caves you would be mesmerized by the gorgeous rock formations (in the form of stalactites and stalagmites). The complex has five chambers and the caves are probably the darkest of their kind. While exploring the caverns you might come across some blind fishes in the water deposits. Note: Single entry ticket is applicable for Kutumsar cave and Tirathgarh waterfall. 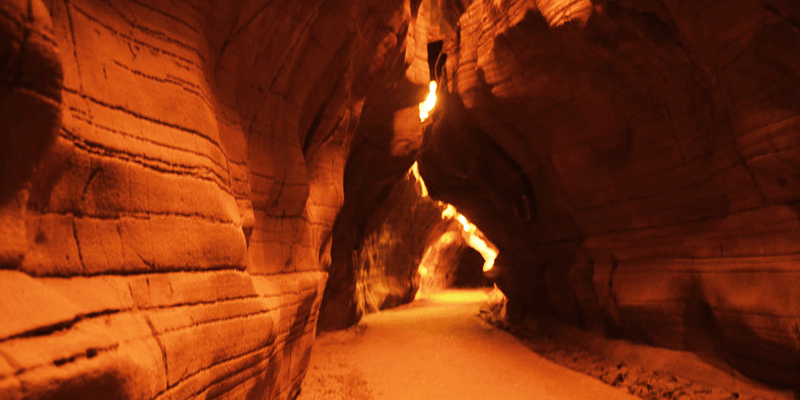 Trivia: Kotumsar caves are the second largest natural caves in the world! Tips: Care to wear shoes when visiting the caves. While the gorgeous Chitrakoot falls lies on the Indravati River, equally stunning Tirathgarh waterfall is situated on the path of Kanger River (at Kanger Ghati). The specialty of this waterfall is its white water which has earned it the nickname of “Milky Fall”. This roaring waterfall takes a plunge of 299 feet and during the monsoons the area nearby is full of lush vegetation giving a photogenic appeal to the Tirathgarh falls. Tip: Try to visit this waterfall before 3 PM, as you can experience the grandiose of this waterfall only with sufficient daylight. Whether you are a wildlife enthusiast or a birdwatcher, the Kanger Valley National Park would offer you a great experience anyway. 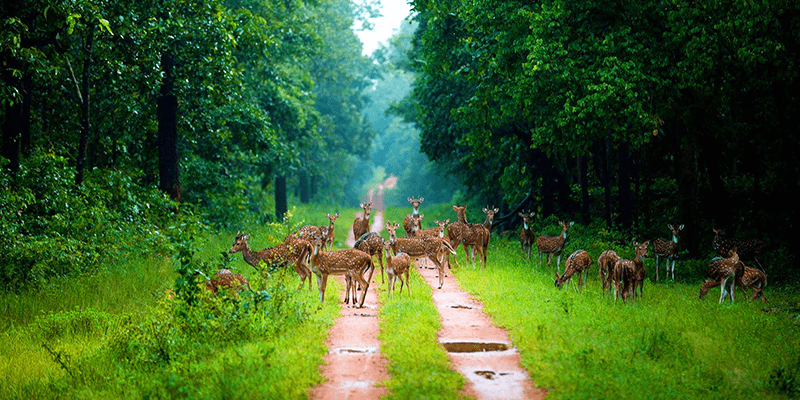 This national park is situated some 27 KM away from Jagdalpur city and has two main entry points. One can enter into the Kanger Valley National park through the Netanar Barrier or Kotumsar Barrier. Once you are inside the national park you can enjoy its geographical diversity. The landscape has plains, plateaus, valleys, slopes, streams, etc. While moving through the forest do keep an eye on the trees, you might be able to sight the state bird of Chattisgarh – Bastar Hill Myna. During your exploration of the forests you stand a chance to catch a glimpse of the chital, sambar, barking deer, wild boar and peacocks. You can get really lucky and spot a tiger or leopard taking a stroll. Tips: Spend a night at the lodging facilities inside the forest to maximize your experience. 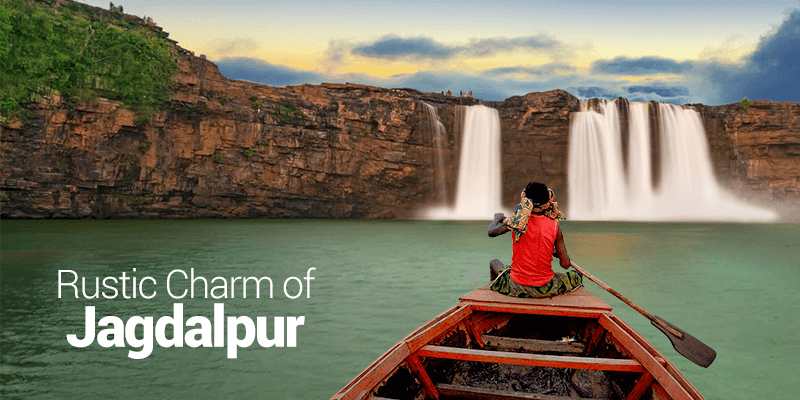 Situated close to the Chitrakoot falls, Tamra Ghoomar is one of the most picturesque waterfalls of Chattisgarh. The waterfall is surrounded by hills, forests and even green fields. If you are after some solitude then this is a great place to visit. Tamra Ghoomar waterfall is still not on the regular tourist trail and takes away the crowds and noise from the travel equation. Danteshwari temple is one of the most revered temples of Chattisgarh. It lies in the neighbouring city of Dantewada. Built in 14th century by a Chalukya king, the presiding deity of this temple, Danteshwari is the Kuldevi (family goddess) of every Bastar resident. It is believed that tooth of Sati fell at the site of this temple, and thus the deity gets the name of Danteshwari. During Dussehra the temple buzzes with devotees and a grand procession with the idol is taken out. Sitting inside the temple is a beautiful black stone idol of goddess Danteshwari. Tip: Women should wear traditional clothes while visiting this temple. Jagdalpur is the perfect travel destination for any person who loves nature and its uniqueness.